Kochi: The apparent quality of work on Kochi Metro stations is better than that of Bengaluru & Chennai metros and the safety certificate to commence commercial operations on its 13.20-kilometres-long Aluva-Palarivattom corridor will be submitted to KMRL on Monday, CMRS (Commissioner for Metro Rail Safety) K.A. Manoharan has said. He was addressing reporters here on Friday evening after a 5-member team led by him concluded test of the elevated rail corridor, 11 stations on the route and the metro’s depot in Muttom. He said, some more CCTV cameras and information boards had to be installed in stations. The KMRL had assured that this would be done in a week. Some improvements were also required in signalling & telecom systems. An elated Managing Director of KMRL Elias George said, he was delighted to hear the CMRS appreciating theme-based stations. 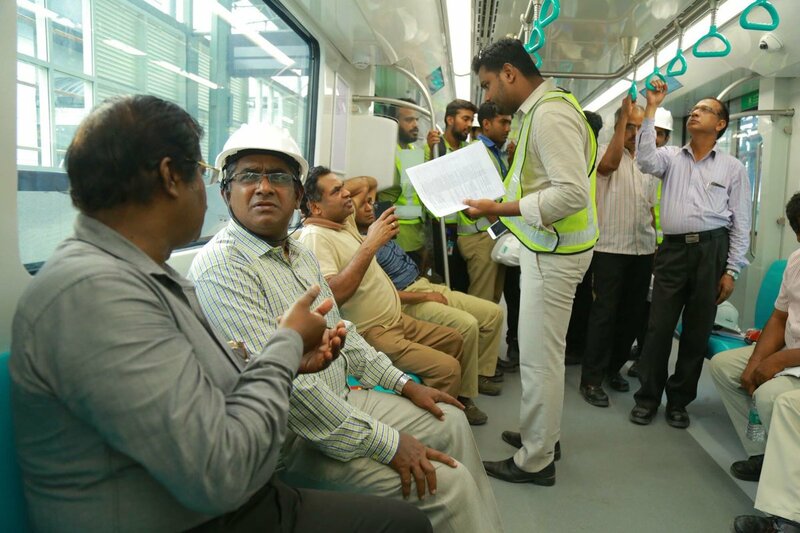 Soon after receiving the safety certificate and inspection report on Monday, we will carry out service trials using ‘dummy’ passengers, while Kudumbasree workers & security men will be exposed to managing the crowd that is likely to pour in once the project is commissioned. The date will be decided based on the Prime Minister’s convenience. He said, uplifting literary quotes from Malayalam, Indian and world literature will be displayed in stations and trains. The CMRS also verified competency of metro personnel and his recommendations are likely to figure in Monday’s inspection report. Others who were present included the Deputy Commissioners of Railway Safety, G.P. Garg & E. Srinivas, and KMRL directors.